AP exams are held the first two weeks of May, but school doesn’t get out until a month later, so it’s a common question: What do students in AP classes do after AP exams? Most classes do a cumulative paper or project to productively conclude the course; however immediately after AP Exams, all BASIS Independent McLean high school students participated in the College and Career Boot Camp (CCBC). College Counselor Ms. Irving worked with History Subject Expert Teachers Ms. Floyd and Dr. Hight to host CCBC, which acquainted students with the college application process and helped them identify how best to strengthen their high school experience. For grade 9 students, CCBC included sessions on college applications and college and careers search workshops. The first workshop focused on the whole application process and what college admissions officers are looking for in a strong applicant. The second workshop guided students through a process to discover college and future careers on their Naviance accounts. For freshmen, CCBC provided students the opportunity to strategically and mindfully plan out their high school career. In addition to the first two sessions, Grades 10 and 11 students participated in the college applications sessions, as well as sessions on LinkedIn profiles, college essay, careers in science, and college from a student perspective. 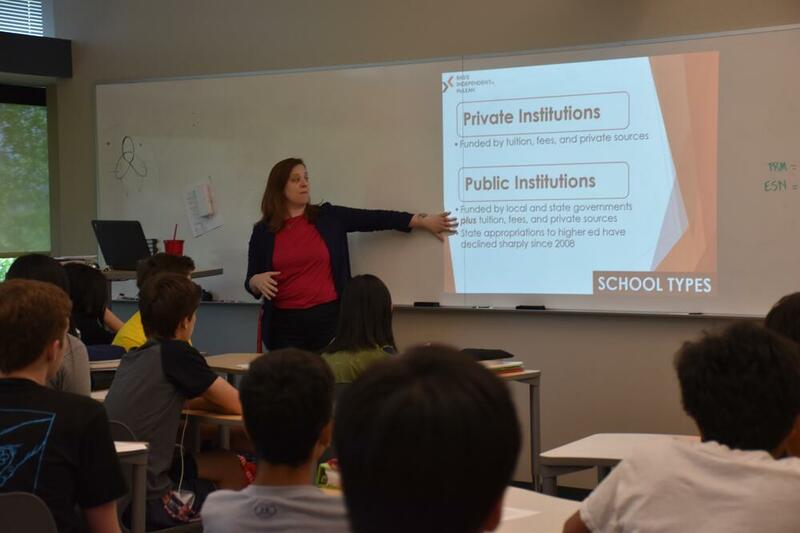 For the LinkedIn profiles session, Ms. Irving and Director of Operations Ms. Aust discussed with students why their online presence matters and how students can use their profile to present their best self. Ms. Aust educated students on the platform and helped them begin to build their own. 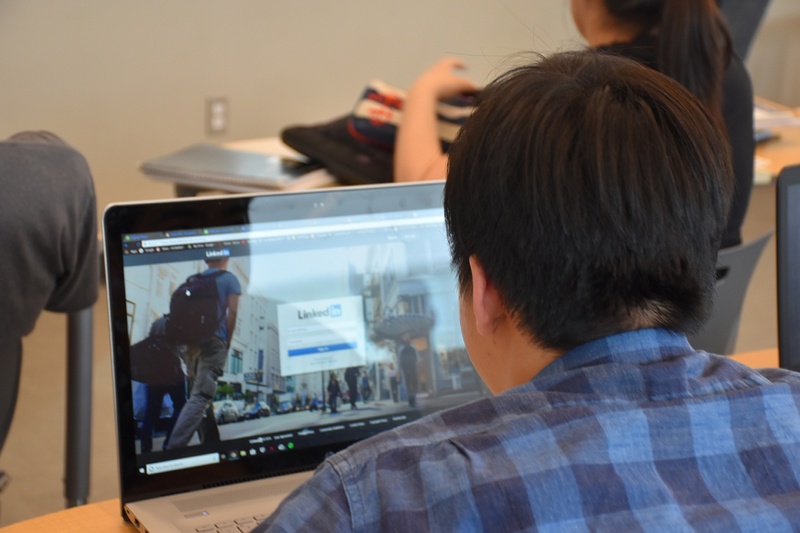 She encouraged students to look at LinkedIn as a place to store the accomplishments until they were ready to write a resume or fill out a college application. According to students, the college essay workshop was the most thought provoking aspect to CCBC. It provided real-world and tangible examples on how they can better tell their personal academic story throughout the college search process. The final session for grades 10 and 11 students offered a first-hand experience with some current college students: Avik Singh, a rising sophomore at Purdue University majoring in computer science; Alisha Bajaj, rising sophomore at Virginia Tech majoring in data analytics; Anna Campion, a rising senior at William and Mary majoring in film and media studies with a minor in English; and Isabel Coughlin, a rising senior at the University of Virginia majoring in government. Students were able to hear from some students about factors that led them to their college and how those expectations matched their reality of college life. Throughout the boot camp, students learned the importance of combining their educational and extracurricular passions at BASIS Independent McLean in order to realize and support their college goals. Sophomores are now more prepared to make the most out of their junior year and have begun thinking about how to make their high school career even more impactful. Juniors now have a college list, the first draft of their college essay, and all have completed the preliminary stages of their Common Application. “All students are now more informed and ready to enter next year ready for the challenges and mindful of their choices,” says Ms. Irving. Next year, Ms. Irving plans to expand and build upon this boot camp with more workshops, student speakers, and one-on-one meetings.